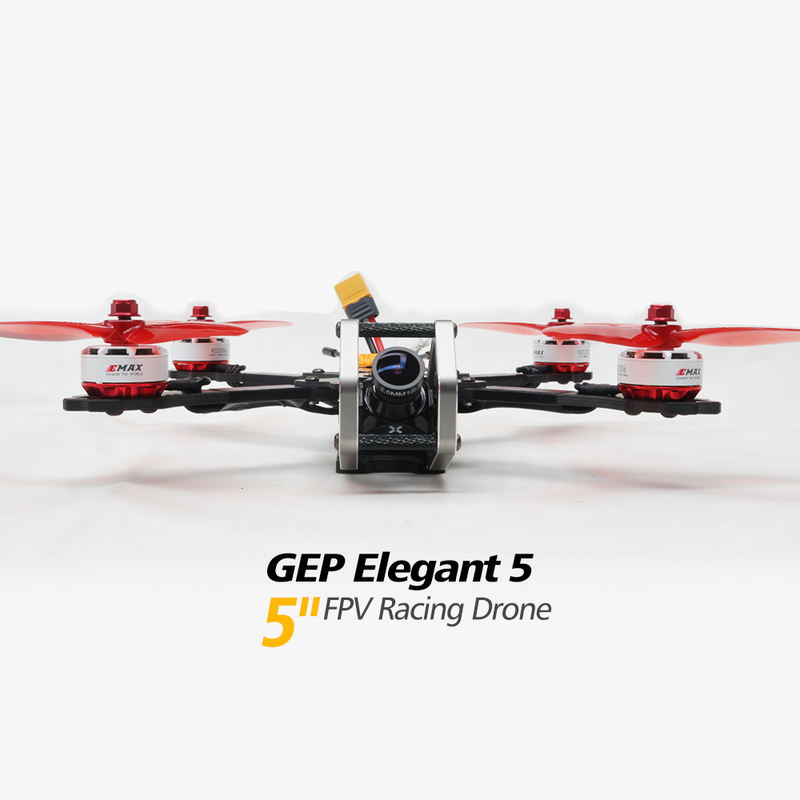 Note: The EMAX RS2306 brushless motor upgrade to EMAX RS2306 Second generations. 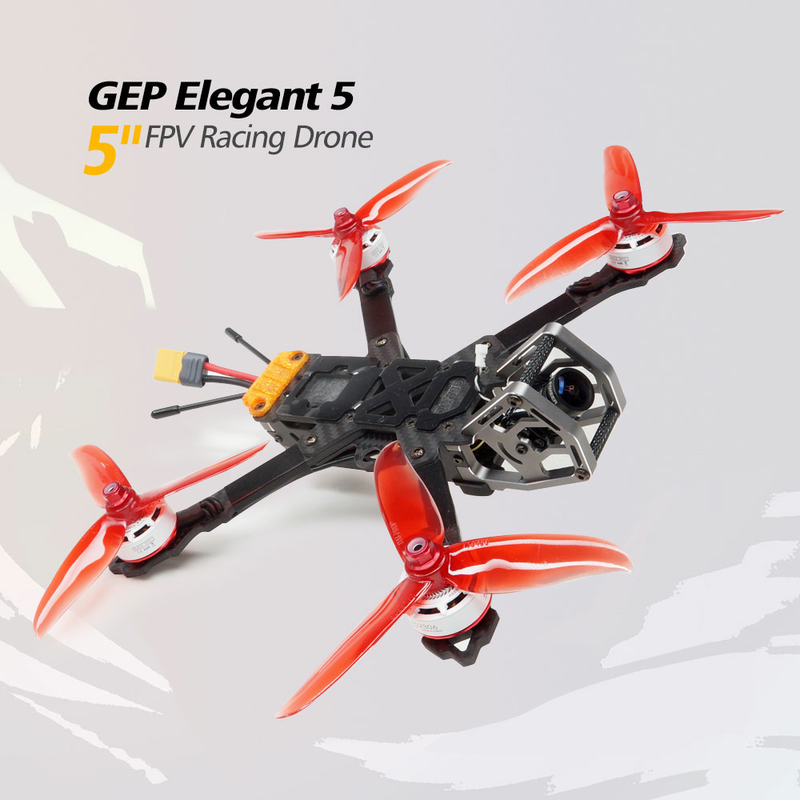 ARRIS GEP KHX5 Elegant 5 Inches Hybrid X fpv racing drone comes with GEPRC KHX5 Elegant 5 inches frame, Emax RS2306 2400KV brushless motor, Flycolor F4 flight controller with 40A 4in1 ESC, Foxeer ARROW mini pro fpv camera and pagoda antenna, the mini 48CH switchable video TX. Receiver is optional. It is good for both beginners and experts. 4. Durable and Flexible--The center of gravity is in the middle of the frame. 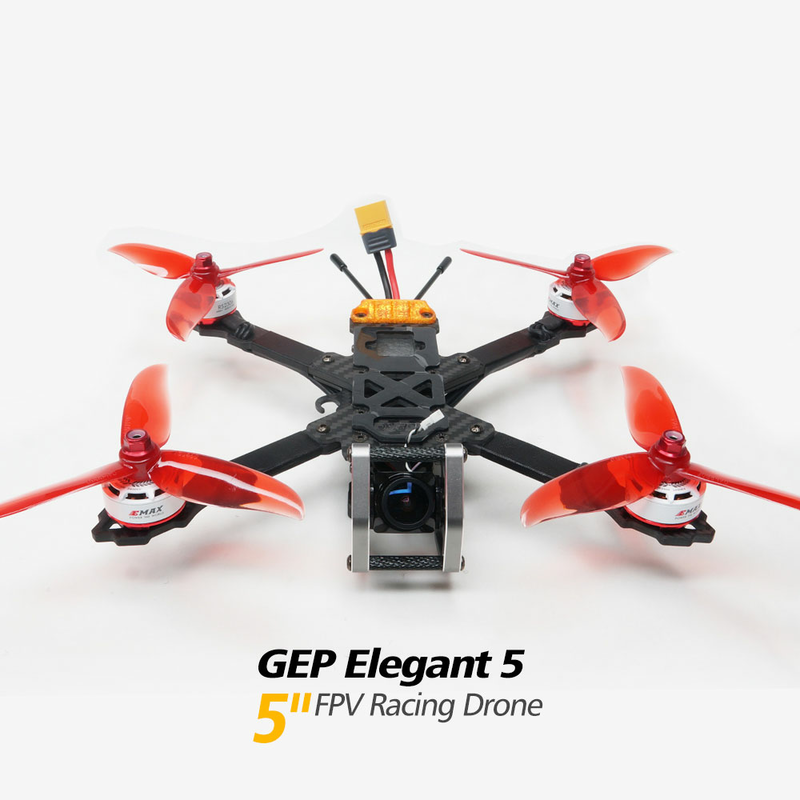 The Elegant 5 frame is Hybric X structure and the gravity center is in the middle. So it is super durable to fly. 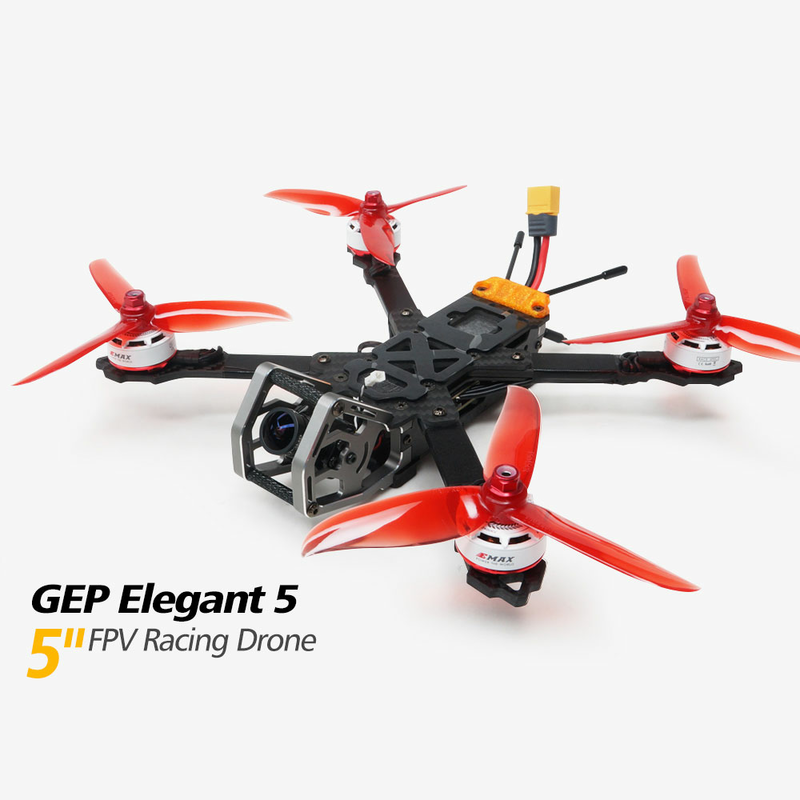 Flycolor Raptor S-Tower comes with BLHei-S 4-in-1 40A ESC and F4,PDB and OSD. 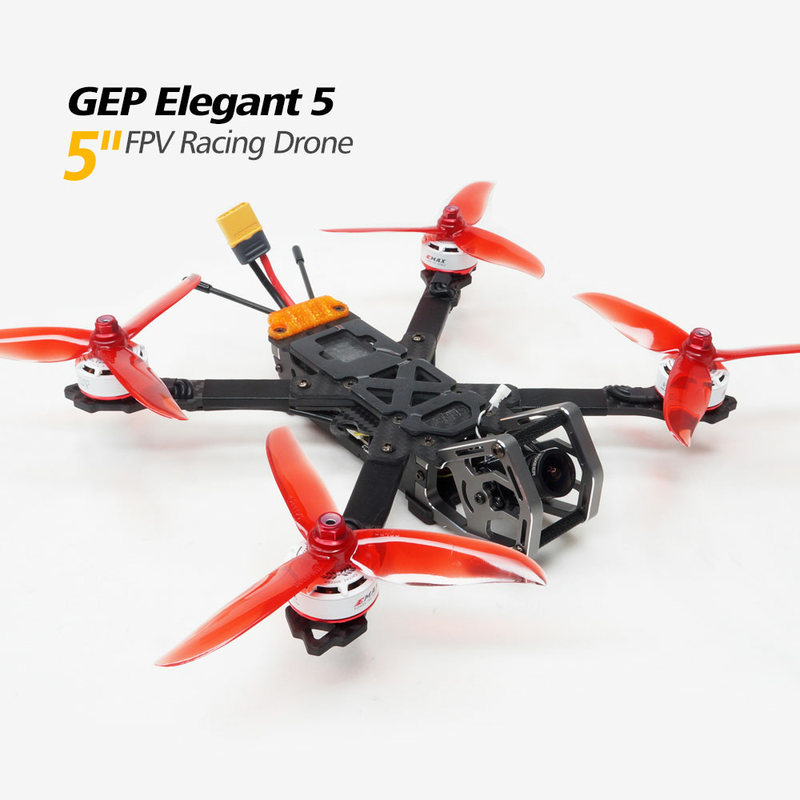 The ESC comes with EFM8BB21F16G MCU, support Dshot / Multishot / Oneshot,support high KV motor, can support at most 500k eRPM.Dshot is digital signal, anti-interference ability is stronger, and do not need throttle calibration. Outside the camera, there is 7075 aviation aluminum alloy with high precision CNC processing, nice looking and strong, protect the camera well. Foxeer Arrow Mini pro fpv camera comes with 2.5mm lens, the FOV-D is 140�. With it, you can get lighter color, more natural, better saturation images. There is 2812 tailight with built-in buzzer on the tail. We also installed the 3D printed antenna seat there too.